Yamanashi Prefecture (, Yamanashi-ken) is a prefecture of Japan located in the Chubu region of the main island of Honshu. The prefecture is landlocked, featuring a fertile central valley, the Kofu Basin, surrounded by many of the highest mountains in Japan including the highest, Mount Fuji located on the southern border with Shizuoka. The capital of the prefecture is the city of Kofu. As in most other Japanese regions, prehistoric society in Yamanashi progressed though the hunting, fishing and gathering stage of the Jomon period, then the rice-producing stage of the Yayoi period and subsequent village and regional formation. The Maruyama and Choshizuka Kofun (earthen burial mounds) located on Sone Hill of Nakamichi Town (Southern Kofu) are believed to have been built from the end of the 4th century. From these remains it can be assumed that the people of Sone Hill had great influence. During the Heian period, Kai Province was created in this area. Yamanashi Prefecture is bordered by Tokyo, Kanagawa Prefecture, Saitama Prefecture, Shizuoka Prefecture, and Nagano Prefecture. The prefecture is landlocked, with high mountains surrounding the central Kofu Basin. Mount Fuji and the Fuji Five Lakes region is located on the southern border with Shizuoka. Mt. Fuji provides rain shadow effects, and as a result, the prefecture receives only about 818 mm of rainfall a year. 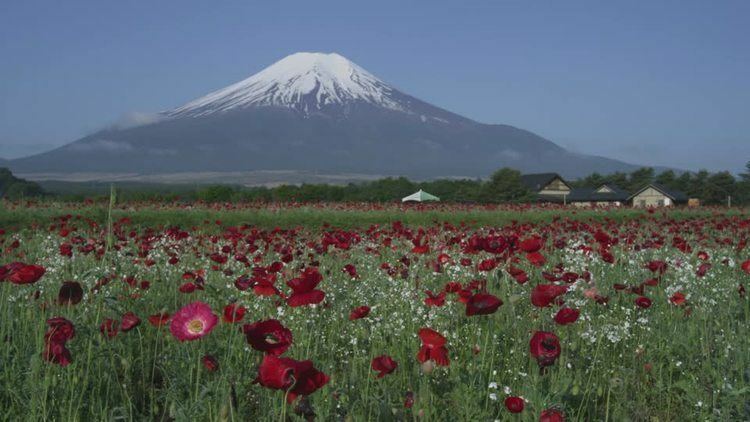 As of April 1, 2012, 27% of the total land area of the prefecture was designated as Natural Parks, namely the Chichibu Tama Kai, Fuji-Hakone-Izu, and Minami Alps National Parks; Yatsugatake-Chushin Kogen Quasi-National Park; and Minami Alps Koma and Shibireko Prefectural Natural Parks. 78% of the prefecture is covered by forests, making it one of the most densely wooded prefectures in Japan. Land cultivated for agriculture is mainly restricted to the lower elevations of the Kofu basin. Yamanashi has a sizable industrial base in and around Kofu city, with the jewelry and robotics industries being particularly prominent. 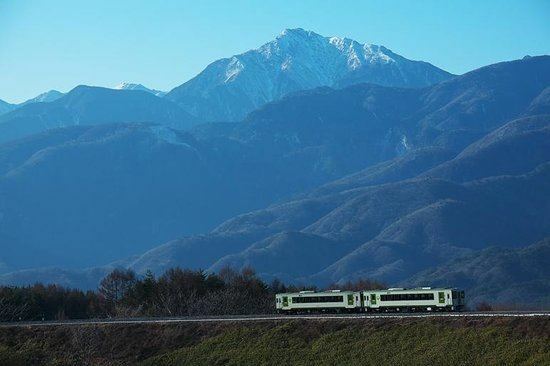 The natural scenery and cultural sights of Yamanashi are popular destinations for both domestic and international tourists due to the prefectures proximity to the crowded Tokyo conurbation and ease of access by road and rail. Mount Fuji, the Fuji Five Lakes region, the highland resort region of Kiyosato, the city of Kofu, the Senga Falls, Koshu wineries, the temple of Erin-ji in Koshu, and the Kuonji Temple at Minobu are a few of the most popular places to visit. The Fuji-Q Highland amusement park at Fujiyoshida with roller coasters Eejanaika, and Takabisha, the worlds steepest roller coaster, is also a popular destination for day trips. 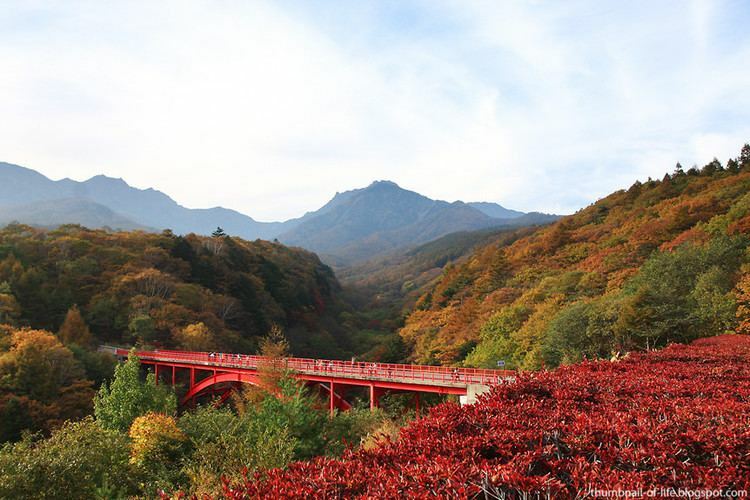 The natural topography of the region makes Yamanashi popular with mountaineering, hiking and climbing enthusiasts throughout the year. 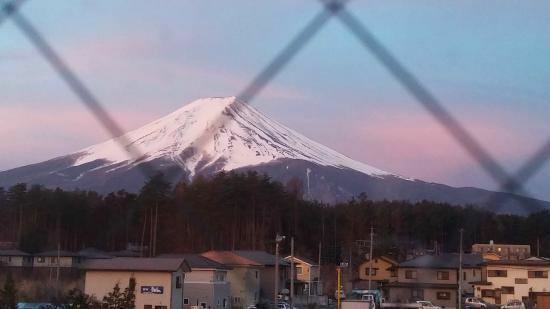 The highest mountain in Japan, Mount Fuji, at 3,776 m (12,388 ft) and the second highest mountain in Japan, Mount Kita, at 3,193 m (10,476 ft) are both located within Yamanashi. The Mt. Fuji Summer hiking season in July and August attracts thousands of overnight hikers typically starting at the Fifth Station in the late evening and climbing through the night to witness the sunrise at the summit. Although not as tall, Mount Minobu, a popular place for Buddist pilgrimage, offers extensive views from the summit of the mountain. Parts of the Fuji-Hakone-Izu National Park, Chichibu-Tama-Kai National Park, and Minami Alps National Park are all located in Yamanashi. Given the areas volcanic activity, natural hot springs, or onsens, are found in abundance. Some of the more well known are Shimobe Onsen, Isawa Onsen and Yamanami Onsen. Shingen Festival, held each March in the precincts of Kofu Castle and Takeda Shrine in commemoration of Takeda Shingens role in prefectural history. Fujiyoshida Fire Festival, marks the end of the Summer climbing season on Mount Fuji. Held on the last weekend in August. Yatsugatake County Fair and Paul Rusch Festival. Held each October in Kiyosato to celebrate the life and work of Paul Rusch, his contributions to local agricultural development and US Japan friendship.